Founded in 2006, Sausalito Foods produces gourmet stuffed olives, pickled veggies and cocktail mixes. The products are sold primarily in large retailers in the Southern and Midwestern United States. DrawBridge has acted as the creative department for Sausalito since their founding over 12 years ago. Projects have included brand identity and packaging/labels, website design and development, point-of-sale displays, and more. 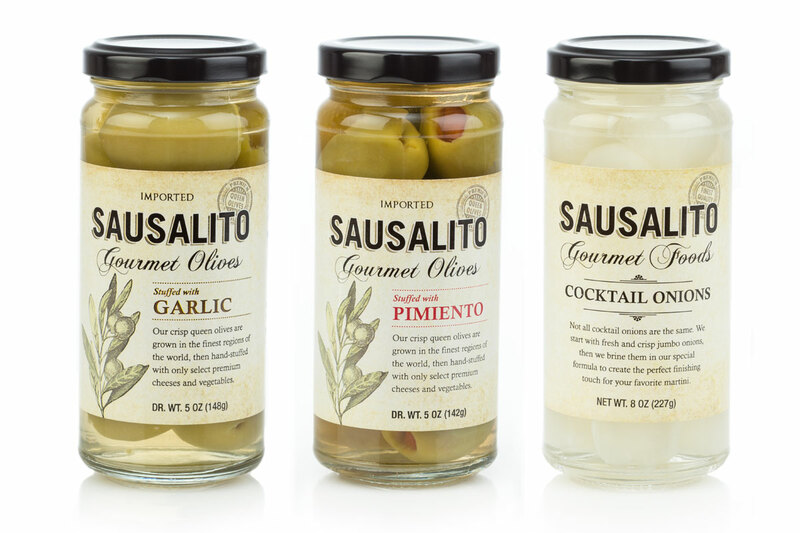 The brand identity of Sausalito Foods was designed to evoke the old-world aesthetic and to emphasize that the olives are imported from Europe. The line-drawn olive branch, stamp effect, and script font on the distressed parchment helps the brand stand-out from the other brands on grocery shelves. The brand was then carried throughout various promotional materials, from the website and online store, to point-of-purchase displays, business collateral, trade show displays, and print and digital ads.